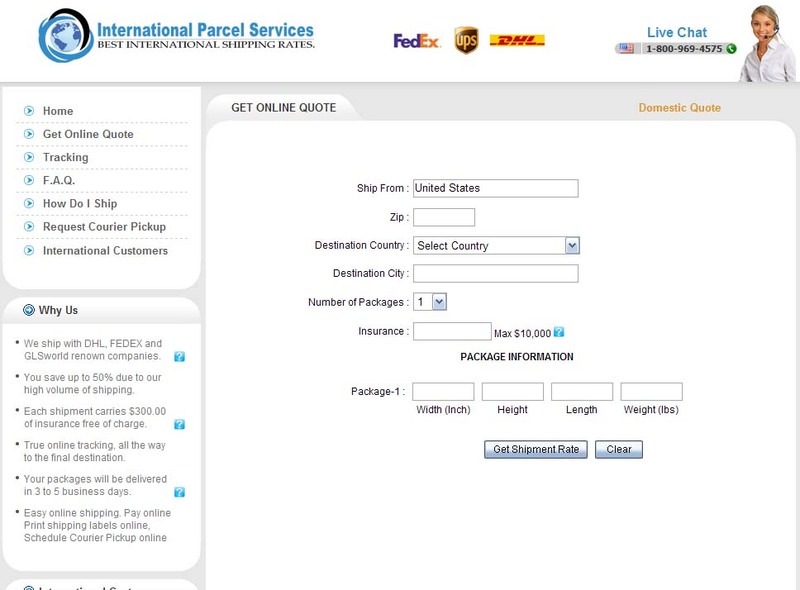 You can easily ship packages online by following a few steps as shown bellow. 2- Upon reviewing the price, choose the carrier that you would like to ship with DHL, FEDEX, UPS or GLS and click on the "Prepare Online Shipment" Button. 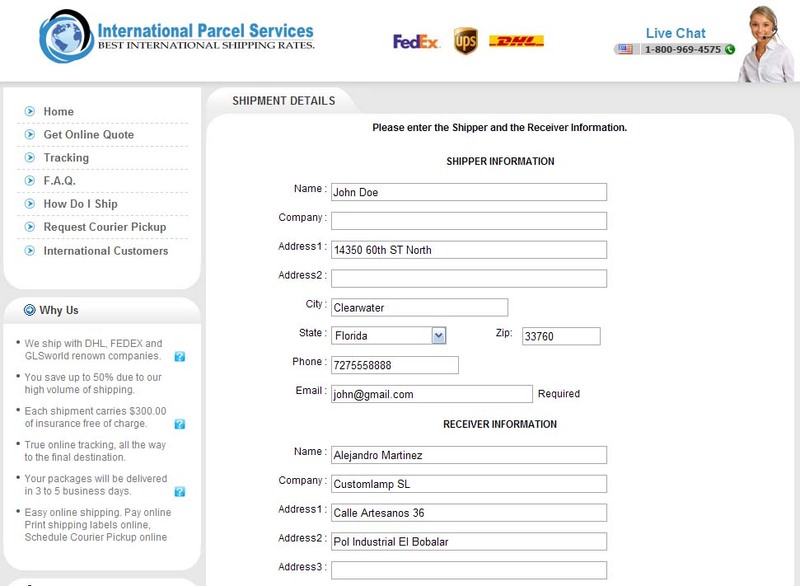 3- Fill in the Shipper Address, Receiver Address and Package Content information. 4- Pay for the Shipping Cost with your Credit Card through our Secure Site. 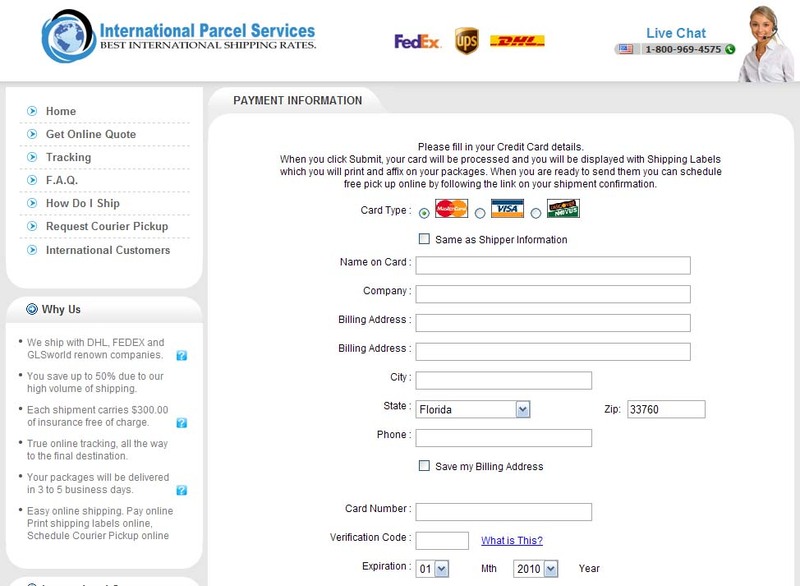 5- Upon payment, you will see your Shipment Confirmation Page. 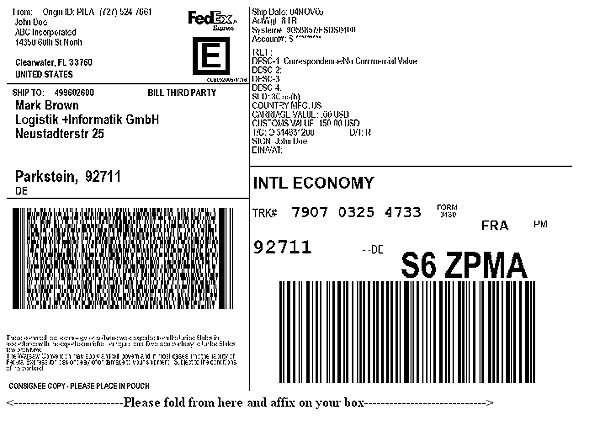 Click on the Label Icon and you will see your shipping Label. You will print this label and affix it on your package. You are done. You can either drop your package at the nearest DHL, FEDEX or UPS Center or request a courier pickup online. 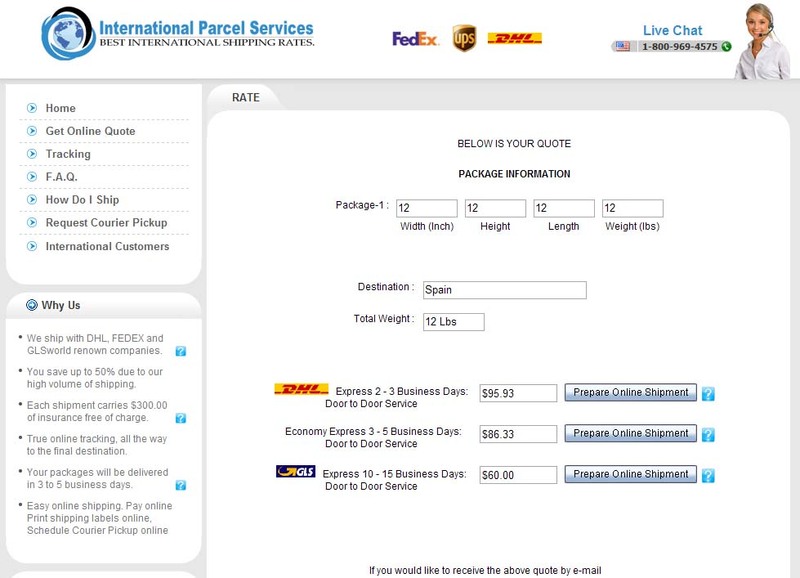 You will also receive an e-mail with your Shipping Confirmation that shows your tracking number. You can track your package using this number through our website.